New Year Resolutions for Aging Loved Ones | BrightStar Care " "
A new year means it’s time for a fresh start. It’s time to grab the reins on the things we’ve all been saying we are going to get around to doing but haven’t yet. When you have an aging loved one you are caring for, this means having to make New Year’s resolutions for not only yourself, but for them as well. Take a look at our New Year’s resolution lists of our top suggested goals for 2017. Fall proof the home of any hazards to help prevent future falls. Go through family photos and create an album showcasing the photo along with labeling who is in the photo, when it was taken, and a story behind the photo to help preserve memories for your ageing loved one and for future generations to enjoy. Make sure to keep your loved one active to not only stay strong, but healthy as well. This can be done through walks, water aerobics, and the like. Being healthy doesn’t only mean exercising daily, but also eating right. Make sure to have plenty of fruits and vegetables in the house, and less junk food. Make sure your loved one’s important documents, financial information, will, assets, etc. is in order. It’s not a fun task, but it’s a better feeling knowing it’s completed. Become educated on the medical conditions your loved one is living with as it will help provide comfort to both parties. Start asking for help. 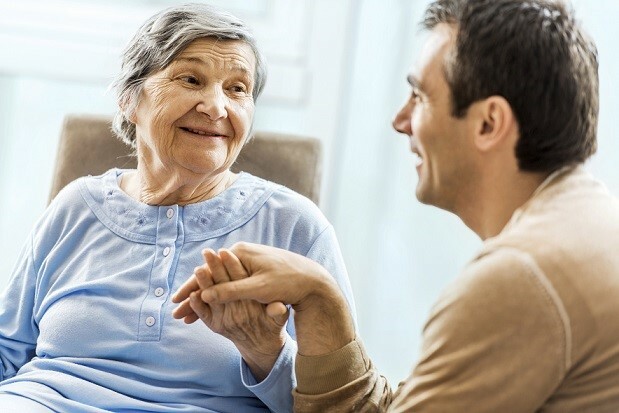 BrightStar Care is here to help you with the daily caregiving responsibilities for your loved one. Seek financial advice from an expert to ensure your loved ones needs are covered and how to make the money last. Make sure to thank yourself for all you do every day. Your loved one might not be able to thank you out loud, but they are thinking it. Always remember to stay positive. You’re making a huge difference in your loved one’s everyday life.